I came across this watch that was given to my wife with a few other watches from her grandfather. I have done a few google searches to find out more information but I thought I'd see if anyone knew any details about the watch. I'm assuming the strap is not original. Everything else seems to be in good condition and it keeps accurate time. It says HAMILTON on the back, nothing else. Any information would be much appreciated! That watch needs to be kept as a legacy. That is actually a very historically significant watch. It is one of the very last mechanical watches fully made in the USA. These were discontinued in 1969, the same year that Seiko introduced the first commercially produced quartz watch. The Hamilton factory in Lancaster, PA was closed soon after, although part of the complex was used as a US sales office for many years afterwards. "...HAMILTON "COIN WATCH". This is one of the most unusual aswell as one of the most historic of Hamilton watches. It was produced in 1969 just after all production of movements was shut down at Hamilton's Lancaster, PA factory in January 1969. Hamilton used the last remaining stocks of the superlative grade 770 movement with 22 jewels to complete this very interesting and rare watch. 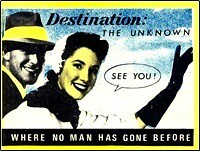 It was never cataloged and very few were made. It was produced in both rolled gold-plate, as this example, and in 14K solid gold. According to Paul Frankenfeld, a production manager at Hamilton at the time, only 50-75 were made in RGP, and 10-15 in 14K gold. However, based on my own experience, I believe these figures are too low. I think there were probably 150-250 in rolled gold-plate and 50-100 in gold, based on surviving examples. That still puts this watch among the very rarest of all Hamiltons ever made. 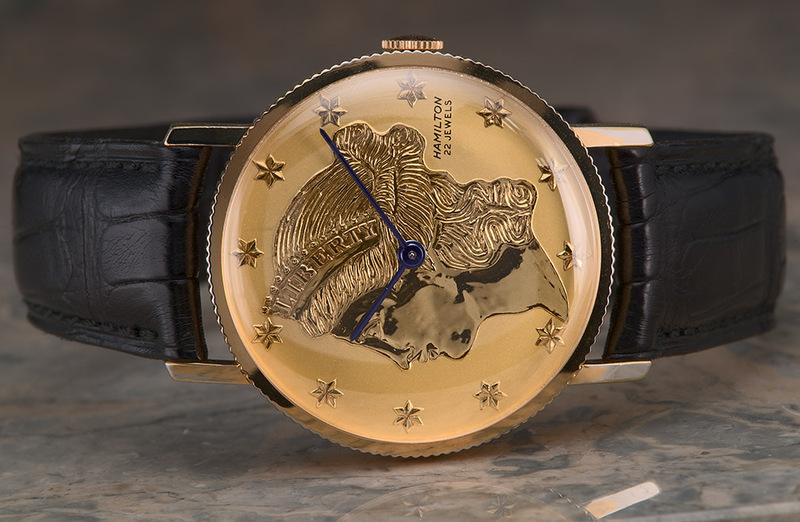 The style is obviously copied after the Corum gold coin watches that were popular at the time. 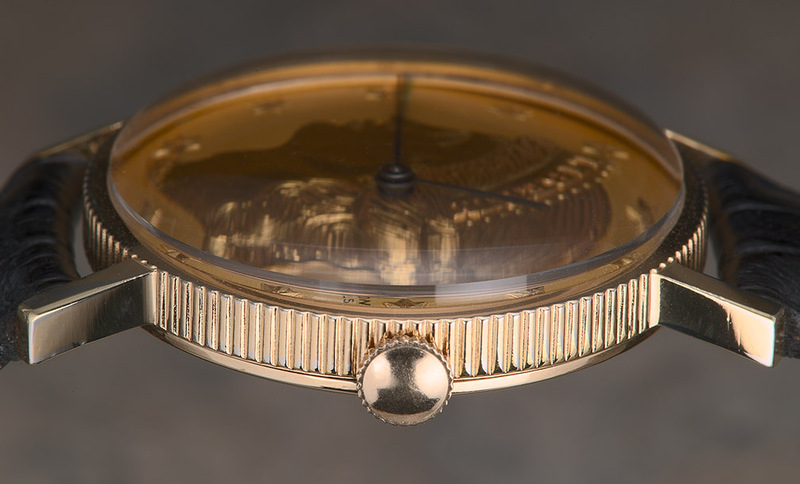 The dial is embossed to resemble a gold coin, and the edge of the case is reeded like a coin. It is very much a watch of its time -- a bit garish but certainly an eye-grabber! As a collectable it is one of the most sought-after of all Hamiltons because of its extreme rarity. This example is extra nice, with excellent rolled gold-plate case with no wear, and perfect original dial..." (quoted from rondeau.net). I think that the band could possibly be original to the watch. 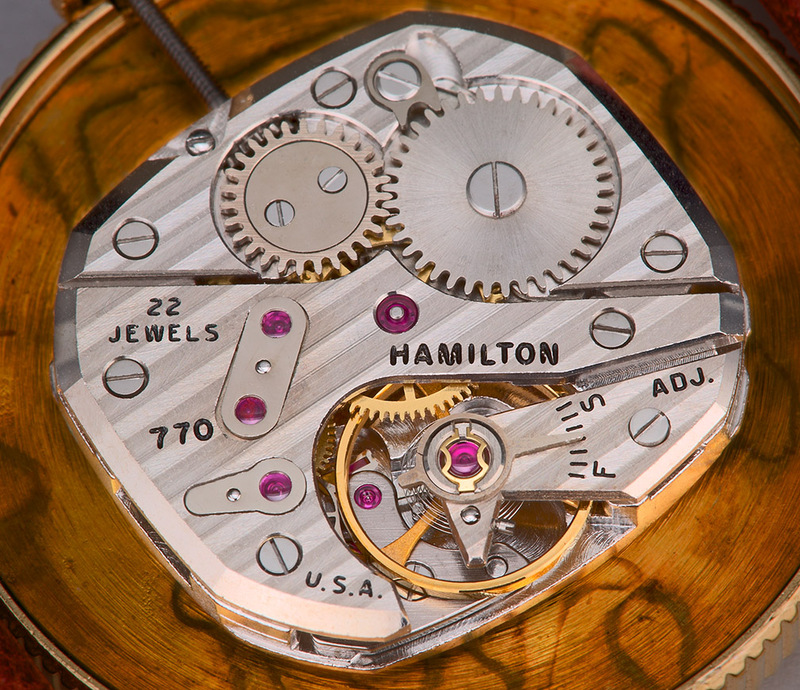 Hamilton used a lot of patterned metal bands like that on their later models. I was unable to find any advertising copy for that particular model. Thanks for the pictures. It appears to be the same except for the band. I have no intentions of selling because of the sentimental value. is this a piece that should be insured? any case, it is not branded as "Hamilton"
If it is the solid gold version, I'd say probably. If gold filled, there may not be enough value there. Rare doesn't necessarily equal valuable. I don't see any markings that its gold on the outside. I'm assuming then its gold filled. Would it be stamped? but what I've seen usually refers to 'gold-filled' rather than 'rolled gold'. The former is a slightly superior process to the latter in terms of gold content. Some sources use these terms inter-changeably. Both are better than gold plating which in vintage watches can vary from 20 to 100+ microns.